Abhimanyu Prakash joined NACTO in early 2015 and is a Program Manager for the Global Designing Cities Initiative, a multi-year program that will develop a Global Street Design Guide and work with cities on street and public space design around the world through Bloomberg’s Initiative for Global Road Safety(BIGRS). He leads the projects and activities in the African and Asian cities under the BIGRS program, primarily in the cities of Addis Ababa, Accra, and Mumbai. As an urban designer and architect, Abhimanyu has gained global expertise in these fields through his past engagements in India, Germany and New York City. As an urban designer at Urban Matrix + MUD Workshop he has contributed to shape a finalist proposal for the federal Strong Cities Strong Communities Challenge for the City of Hartford and has also been involved in community engagement driven design work for the new Comprehensive Plan for the City of Easton. Various multi-scalar public and private projects across German and Indian contexts have helped him hone his skills across scales and gain a holistic approach to urban design. In parallel, Abhimanyu is also involved at various non-profits such as Asia Initiatives and Dakshini Prayash as a junior board member at both organizations. He applies his design, planning, and management skills at various educational and social development projects as a part of these organizations. As a passionate photographer and traveler he also enjoys maintaining an urban photo-blog. 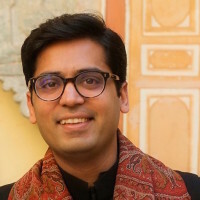 He graduated with the Lucille Smyser Prize from the Graduate School of Architecture, Planning and Preservation and holds a Bachelor of Architecture from Sushant School of Art and Architecture, New Delhi where he was the recipient of various awards including the National Thesis Award awarded by the Indian Council for Architecture.